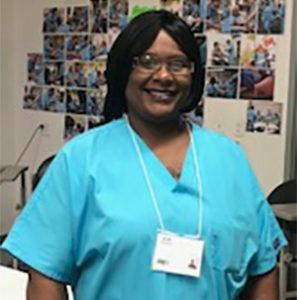 Annette became interesting the phlebotomist program at New Bridge workforce training center in Cleveland in the fall of 2016. She began attending the Aspire KeyTrain remediation course to improve the necessary math and reading skills for the phlebotomy program. After several months of diligent hard work, she passed the WorkKeys test and was accepted into the phlebotomy program at NewBridge. Annette successfully finished the phlebotomy program at NewBridge and began an externship with University Hospital in Cleveland. When asked about her future she stated, “This is just the beginning.” She plans to continue her higher education journey where she hopes to become a certified anesthesiologist. Patrice started with Seeds in 2006, attending on and off for the next 6 years. “It wasn’t easy for me. I was afraid of not getting it right. I was afraid of failure, and then life would interfere.” For Patrice, it took 5 tries. In January 2012, her grandmother passed away unexpectedly. “I always wanted to show my grandmother that I could be better than what I displayed before. So the month after she died, I came back to Seeds – and stuck with it.” Patrice describes Seeds as phenomenal. “The atmosphere is calm, the tutors are really interested in helping, and even the packets of work aren’t too overwhelming. Everyone is eager to help you succeed.” After her long road of hard work, Patrice passed her GED® exam in February 2013. I went to GED® prep classes for two years. The classes were very hard, especially math, and then they changed the test. I never took it because I knew I wouldn’t pass. The class just ended because no one was able to pass the test. I felt frustrated and angry and felt that I would never get a GED® diploma and be able to advance at work. Then I took the adult diploma program while I was working, taking care of three grandchildren, and had two knee replacements. I needed to build my self-esteem. The first part of the Tri-C class was online and you could work at your own pace. If you got stuck they had people who could help you and encourage you. The programs built me up and increased my self-confidence and self-esteem. I gave up when it got too hard. Then I got phone calls asking if I needed help, and I took them up on that. So I started going to extra classes. They provided bus passes so there was no need to worry about how to get to class. I put in hundreds of hours of study to achieve my goal. I got my high school diploma and STNA license all through Tri-C’s adult diploma program. And now I’m eligible for career advancement at University Hospitals and I use my STNA license to help my sister and others in need. I want to help others get through this program and achieve their goals. I promote it to everyone I know and even those I don’t. My daughter and my daughter-in-law joined the program because of me, and they are both graduating also. 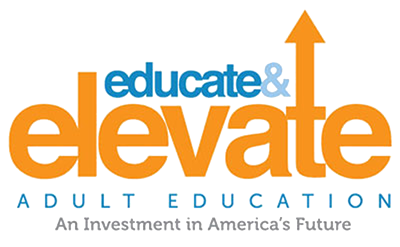 Over 146,000 Cuyahoga County residents do not have a high school diploma or equivalent and cannot elevate into better education or employment opportunities without additional training. Additionally, our major challenge focused on improving the literacy, numeracy, and computer proficiency skills of every program candidate in order to be successful in a contemporary college and career environment. 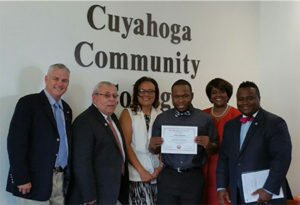 The Adult Diploma Program (ADP) at Cuyahoga Community College (Tri-C) is a competency based high school diploma program that focuses on in-demand career training and certifications. Tri-C was one of the first five pilot sites for ADP statewide and saw a huge demand from the community when the application period began in July 2015. The initial goal was to reach 150 applicants. 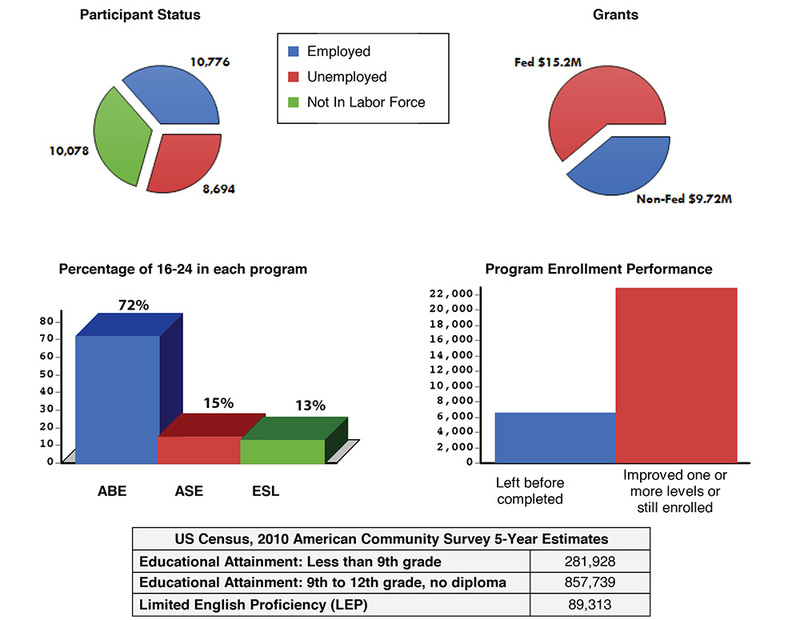 However, more than 2,000 qualified candidates applied, which showed the desire of our undeserved adult learners for this unique program. All ADP candidates receive a scholarship from ODE for their in-demand career training provided by Tri-C. At the completion of their training, they are awarded their high school diploma with evidence of college and career readiness. ADP students complete their Ohio high school diploma requirements by participating in a competency-based learning program and demonstrating the mastery of skills in preparation for careers in fields such as healthcare services, manufacturing, logistics, and construction, with state and national certifications. 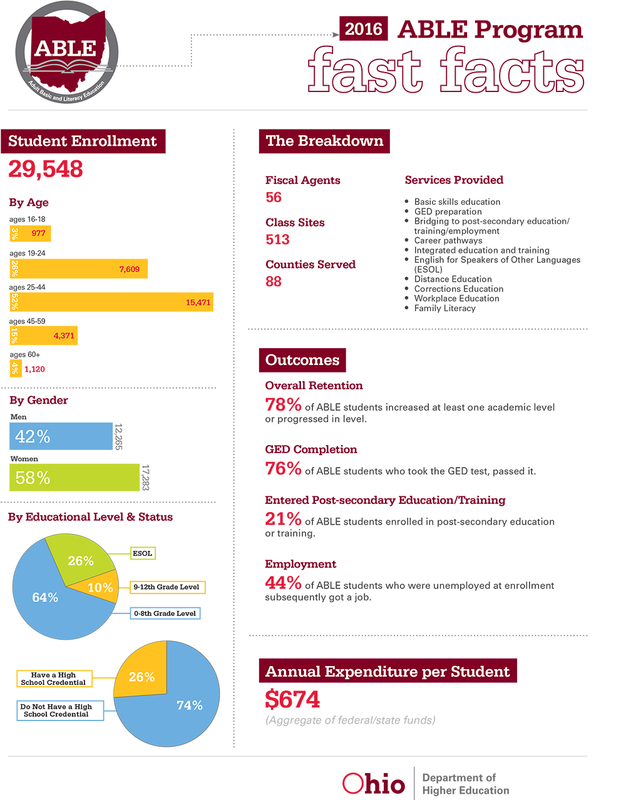 In the 2016–2017 academic year, close to 65 ADP alumni have been awarded their high school diploma by the Ohio Department of Education (ODE) and the Ohio Board of Education. Many employers struggle with their employees’ low literacy skills. This deficiency inhibits employees from promoting and/or efficient production. Employers and employment agencies have contacted us because they want to “invest” in their employees, so they can increase their literacy skills. It is difficult to find hard-working employees like the ones they have now, and employers are not interested in replacing them, just investing in them. We have been partnering with employers to create structured courses to help their employees increase their literacy skills. Some employers prefer on-site courses while others refer their employees to our campus. Our courses are company-specific cohorts, managed enrollment cohorts, or open enrollment courses. We provide highly skilled instructors in all classrooms. Professional development is continuously offered to our staff so they are always on the cutting edge of education and technology. The outcomes of this innovation include higher skilled employees, which then promotes growth, employer support, and opportunities to recruit family and friends of the employees who have taken our courses.